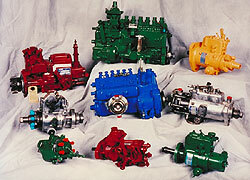 If hydraulic head is worn or seized and needs to be replaced, add $150.00 and up. Dealers and Repair Shops please call for separate pricing. These are repair base prices only, final price may be higher. Model 100 reg. rebuild price includes: gasket kit- rebuilt head- misc parts. Model 100 intervance must be rebuildable, and head must not be seized. Extra items: guide tappet- excessive fuel device- control unit- low idle capsule. * Simms price include: rebuilt P & B's- gasket kits- governor kits- bearings. Extra items: Cam Shaft- Rollers- Supply pump- Springs- Housing repair. VA pumps include: rebuilt head- gasket kit-and misc. parts. Extra charge items- seized head- camshaft- rollers- camplate- overflow valve-control levers. * Inline price includes- rebuilt P & B's- gasket kit- and misc. parts. 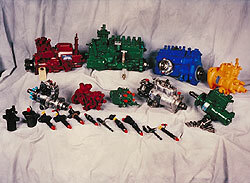 Extra charge items include camshaft- housing- new P & B's- delivery valves- and governor weights. Mylex International's liberal core acceptance policy, and standardized costs, saves you money. Fixed prices with no hidden cost, and no charge back policy. Prices listed are based on exchange units. All cores must be complete. Unassembled, seized, broken exterior housings, water, or fire damaged cores are not acceptable.